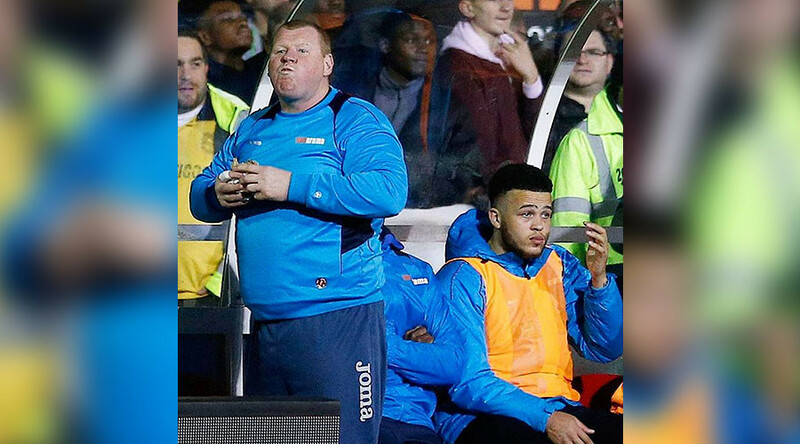 A gambling investigation was launched against English non-league goalkeeper Wayne Shaw after he was filmed eating a pie on camera during his team’s 2-0 home defeat in the fifth round of the FA Cup on Monday. The Gambling Commission launched an investigation into a possible breach of regulations after Shaw, Sutton United’s reserve goalkeeper, was filmed eating a pie on the sidelines in the 83rd minute of a match with Premier League Arsenal, the BBC reported on Tuesday. Prior to the game, bookmakers had offered 8-1 odds on Shaw being filmed eating a pie during the match. “Integrity in sport is not a joke and we have opened an investigation to establish exactly what happened,” said Richard Watson, the commission’s enforcement and intelligence director. The reserve keeper, 46, said that he was aware of the bet, but hadn’t put any money on it. “I think there were a few people [who placed bets]. Obviously we [players] are not allowed to bet. I think a few mates and a few of the fans,” he told the Daily Mail. Sutton and Shaw made headlines for the team’s remarkable FA Cup run, which ended in the 2-0 defeat to Arsenal on Monday. Arsenal, currently fourth in the Premier League, lie 105 places above Sutton – who are in 17th place in the fifth-tier National League. Sutton’s FA Cup exploits included unlikely wins over league opposition Wimbledon and Leeds United. The goalkeeper has captured the public’s attention with his less-than-athletic appearance, weighing in at 23 stone (322lbs). He even had his picture snapped in the clubhouse bar during halftime of Monday’s match. Goals from Lucas Perez and Theo Walcott sealed the win for Arsenal, although Sutton won praise for the fighting spirit they showed throughout the game. The hosts themselves came close to scoring through Jamie Collins and Roarie Deacon - who hit the crossbar with a fierce 25-yard drive in the second half. It has since been reported that the club have asked Shaw to resign and he has accepted the request.